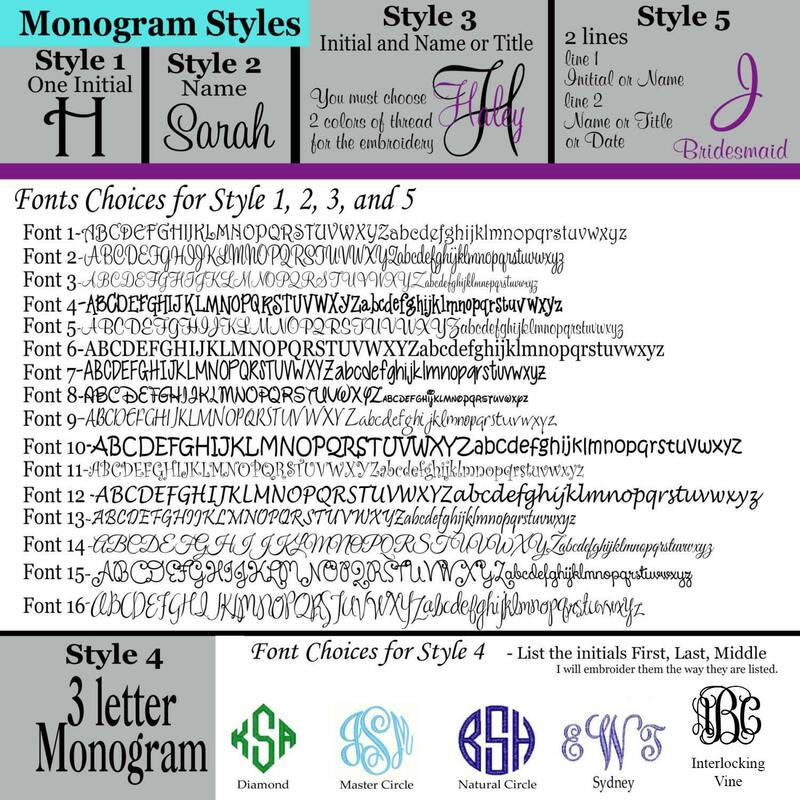 Monogrammed Denim Shirts, Personalized Bridal Party Shirt -Monogrammed Oversized Shirts, perfect for getting ready on your big day! 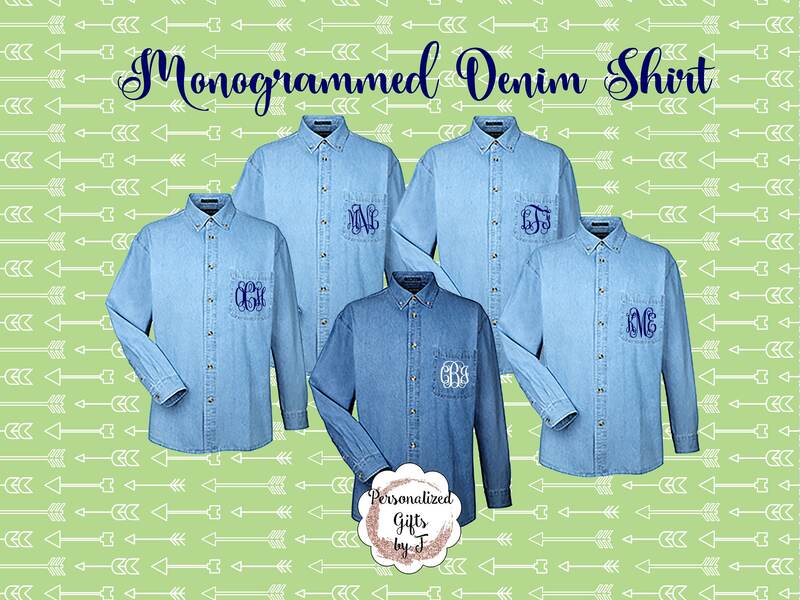 This listing is for 1 monogrammed denim oversized shirts. I embroider the pocket with the monogram of each member of the bridal party in any color you choose. *** Please Note**The pocket will be sewn shut during this process. These are a washed denim finish. 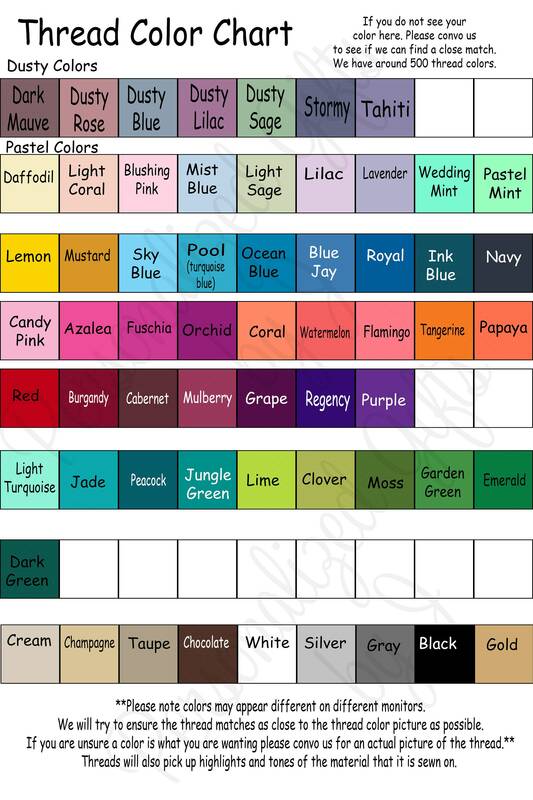 If you are ordering a set - please note that each shirt will have its own unique denim finish and may be darker or lighter than the others in the set. 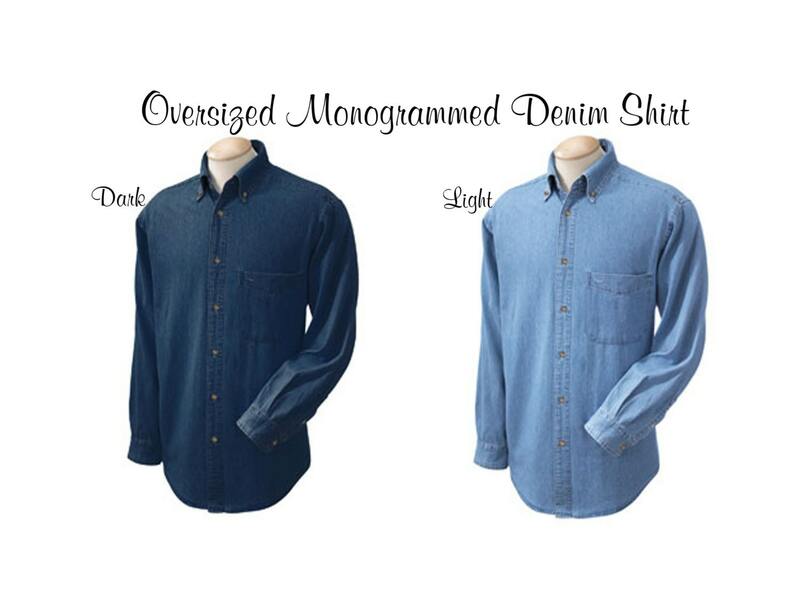 This is a men's long sleeve denim button down dress shirt in sizes S, M, L, XL, XXL, -- I can also get 3XL, 4XL, 5XL and 6XL for a 7.00 additional charge. I received amazingly cute denim shirts for me and my bridesmaids. 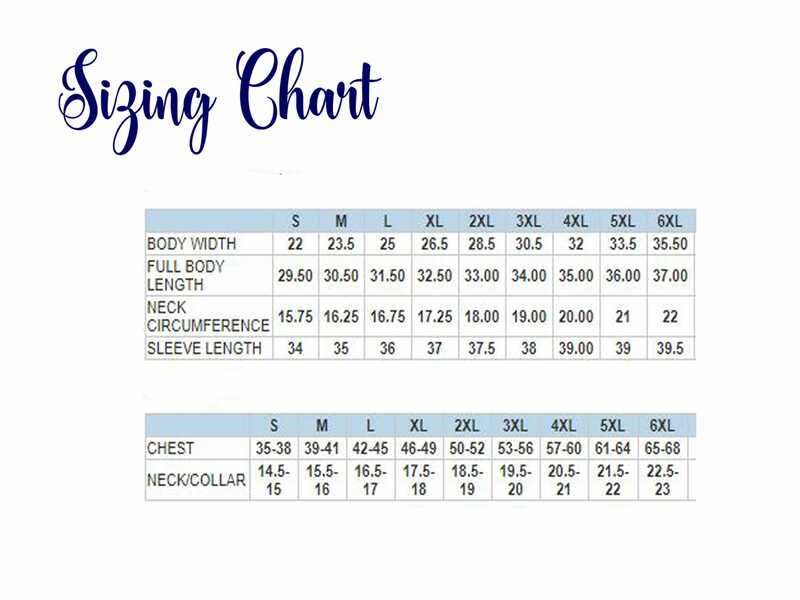 The shirt is very good quality. I had a great experience with this shop! The customer service was great. I was afraid I wouldn't get the shirts in time for my wedding and they assured me I would have them and did everything to make sure! Love the shirts can't wait to give them to my bridesmaids!